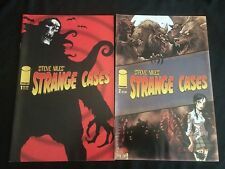 Steve Niles STRANGE CASES #1 - 2 Dan Wickine David Hartman (Image, 2007)! 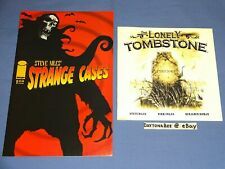 Steve Niles CITY OF OTHERS #1 - 4 Bernie Wrightson (Dark Horse, 2007)! Batman Steve Niles SIMON DARK #1 - 5 Scott Hampton (DC, 2007)! LAST TRAIN TO DEADSVILLE (2007) - # 1-4 MINI-SERIES (STEVE NILES, CAL McDONALD)! This page was last updated: 25-Apr 21:44. Number of bids and bid amounts may be slightly out of date. See each listing for international shipping options and costs.